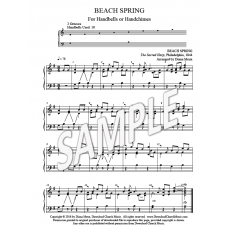 Short anthem for handbells or handchimes on the hymn tune "BEACH SPRING" (used for "Praise the One Who Breaks the Darkness" and "Lord, Whose Love in Humble Service"). In G, for 2 octaves, 10 bells used. Note this is a different key (in G) than the hymns typically use (F). Reproducible. Price includes the right for original purchaser to make unlimited copies for his/her own parish use. 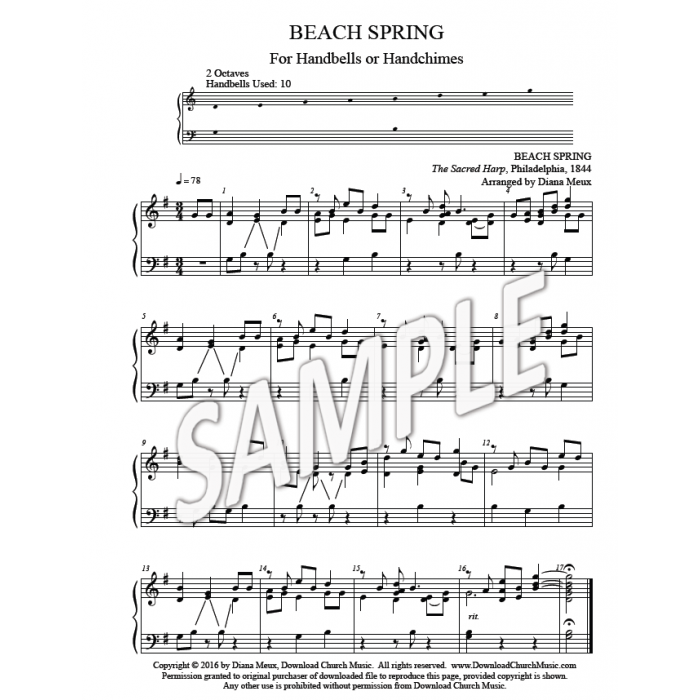 Handbells/Handchimes 2 octaves, 10 bells used. Anthem Short anthem or other uses. General General, praise, humble service.